Comment: We have a small deck off of our 2nd story kitchen. The deck needs a bit of sanding and stain. Comment: Single story single level 4 BR house. Paint all door and window trim, 3 ft roof overhang, 4x4 porch support posts, white over white. Edgewater Painting Contractors are rated 4.75 out of 5 based on 1,717 reviews of 56 pros. 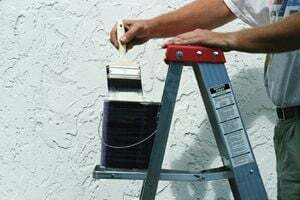 Not Looking for Painting Contractors in Edgewater, MD?